This book presents an overview of techniques for discovering high-utility patterns (patterns with a high importance) in data. It introduces the main types of high-utility patterns, as well as the theory and core algorithms for high-utility pattern mining, and describes recent advances, applications, open-source software, and research opportunities. 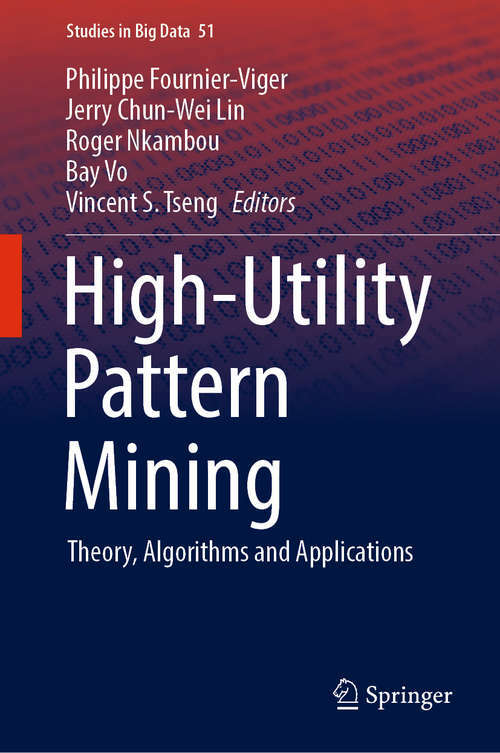 It also discusses several types of discrete data, including customer transaction data and sequential data.The book consists of twelve chapters, seven of which are surveys presenting the main subfields of high-utility pattern mining, including itemset mining, sequential pattern mining, big data pattern mining, metaheuristic-based approaches, privacy-preserving pattern mining, and pattern visualization. The remaining five chapters describe key techniques and applications, such as discovering concise representations and regular patterns.